For years and year the Symbian operating system had been a cash cow for Nokia. Even five years ago with the iPhone and Android smartphones being firmly established in the market, Symbian was still outselling any other mobile OS at the end of 2010. Symbian had a loyal fan base, it was an established platform with a wealth of applications and Nokia had a wide variety of high-quality devices to run it on. But the roots of Symbian lay in the 1990s and although it was well-suited to relatively simple smartphones, more powerful hardware meant that the much more powerful iOS and Android platforms could simply do more. Nokia wasn't sitting around doing nothing though, and they had been slowly developing the Linux-based Maemo operating system which was fundamentally very similar to iOS and Android and certainly had the potential to be every bit as good. But Nokia hadn't made a Maemo phone since 2009 and development along that path had stalled with a disastrous attempt at merging the platform with Intel's Moblin to create MeeGo. By 2011 MeeGo was looking like a dead duck. With no high-end devices in the pipeline the strategic situation was looking grim, but sales were still pretty buoyant. But then in one probably the most controversial decision in Nokia's history, CEO Stephen Elop announced that Nokia were to phase out Symbian, discontinue MeeGo and move all smartphones to the Windows platform. 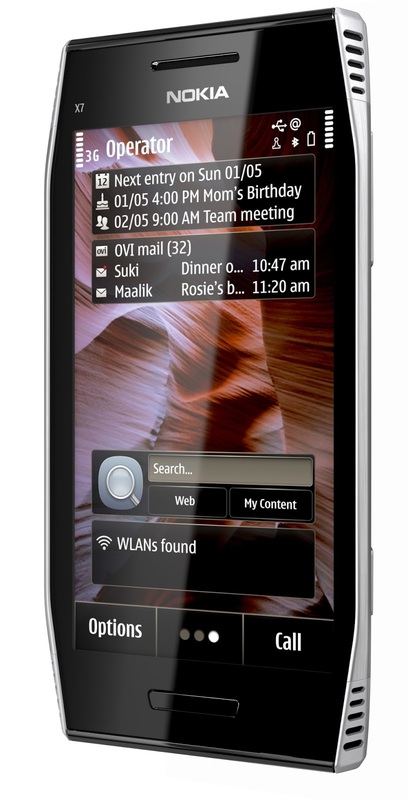 The idea was that Symbian would be phased out gradually over a number of years, but customers had different ideas and sales of Symbian devices started to collapse. Worse still, Nokia didn't actually have any Windows phones and it wouldn't until the end of 2011. It was the beginning of the end for Nokia, who as of 2016 are no longer in the mobile phone business. Launched in the path of this oncoming storm was the Nokia X7 (strictly called the X7-00). It was an unusual device with tapered-off edges, a large 4.0" 360 x 480 pixel display, 8 megapixel camera plus all the usual smartphone features that you'd expect and even the operating system had been spruced up. Although the pricing was broadly similar to a midrange Android of the time, the specifications were struggling to keep up. 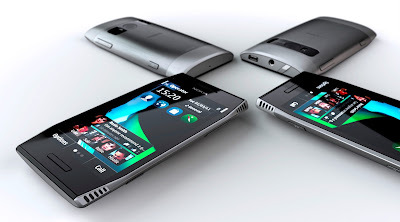 The fact that it was one of the best Symbian devices ever could did not seem to matter to consumers who suddenly lost interest in the dead-end product line. Symbian was essentially dead a year later. Today, prices for the Nokia X7 are pretty high with decent unlocked models coming in at about €100 or so which is actually more than a contemporary iPhone 4. It seems that this obsolete device still has a few fans after all.